The mega brewey, or as some refer to it the macrobrewery, are typically large scale brewing operations utilizing a number or locations throughout the country and overseas. These mega breweries produce hundreds of millions of barrels of beer per year, unlike a traditional craft brewery who brew less then 2 million barrels a year. #1 Anheuser-Busch InBev, St. Louis MO - Anheuser-Busch InBev is the leading global brewer and one of the world’s top five consumer products companies. With a dream to become The Best Beer Company in a Better World, the company has a strong, balanced portfolio. With four of the top ten selling beers in the world, Anheuser-Busch InBev holds the number one or number two position in over 20 key markets. Nearly 300 brands including three global flagship brands : Budweiser, Stella Artois and Beck’s, multi-country brands like Leffe and Hoegaarden, and strong ‘local jewels’ such as Bud Light, Skol, Brahma, Quilmes, Michelob, Harbin, Sedrin, Klinskoye, Siberian Crown, Chernigivske, and Jupiler, among others. #2 MillerCoors Brewing Co, Chicago IL - Miller Brewing Company and Coors Brewing Company are now MillerCoors. "We are passionate about beer and the beer business. And we want to be the best beer company in America. We’re a new company with high potential, a unique foundation of great beer brands and 288 years of brewing experience." MillerCoors grew from the dreams of two German entrepreneurs who came to America in the mid-19th century. Miller Brewing Company began when a determined young brewer, Frederick J. Miller, brought his passion for beer to the United States. Miller settled in Milwaukee, where in 1855 he bought the Plank Road Brewery and made his first delicious beer, using yeast that he had carried with him all the way from Europe. Coors Brewing Company tapped its first barrel in 1873, when Adolph Coors opened The Golden Brewery in Colorado. Coors was born in Prussia and apprenticed at a brewery in his teens. With characteristic spirit, he stowed away on a ship to get to America and bring his brewing dream to life. #3 Pabst Brewing Co, Woodridge IL - Pabst Brewing Company is an American company that dates its origins to a brewing company founded in 1844 by Jacob Best and by 1889 named after Frederick Pabst. It is currently the holding company contracting for the brewing of over two dozen brands of beer and malt liquor from defunct companies including G. Heileman Brewing Company, Lone Star Brewing Company, Narragansett Brewing Company, Pearl Brewing Company, Piels Bros., Primo Brewing & Malting Company, Rainier Brewing Company, F & M Schaefer Brewing Company, Joseph Schlitz Brewing Company, and Stroh Brewery Company. 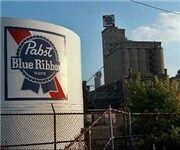 #4 Boston Beer Co, Boston MA - The Boston Beer Company is an American brewing company founded in 1984 by Jim Koch. The brand name for the beers is Samuel Adams (Sam Adams), after Samuel Adams, an American patriot famous for his role in the American Revolution, who, according to tradition, was also a brewer. 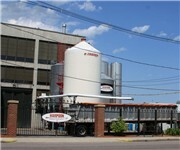 The Boston Beer Company is the largest American owned brewery. As of 2007, the company produces twelve varieties of beer year-round: Boston Lager, Sam Adams Light, Boston Ale, Pale Ale, Cherry Wheat, Cream Stout, Brown Ale, Hefeweizen, Scotch Ale, Black Lager, Honey Porter, and Irish Red. #5 Yuengling Brewery, Pottsville PA - D.G. Yuengling & Son, commonly called Yuengling, of Pottsville, Pennsylvania, is the oldest operating brewing company in the United States, having been established in 1829, and is one of the largest breweries by volume in the country. Yuengling's trademarked phrase "America's Oldest Brewery" refers to the U.S. only, as the Canadian brand Molson, founded in 1786, is the oldest in North America. #6 Sierra Nevada Brewing Co., Chico CA - The Sierra Nevada Brewing Company was established in 1980 by homebrewers Ken Grossman and Paul Camusi. Located in Chico, California, Sierra Nevada Brewing is one of the most popular craft breweries currently operating in the United States. Its Pale Ale is world renowned, and the brewery produces almost 700,000 barrels of beer per year. Sierra Nevada's specialty brews include the winter Seasonal Celebration, like the pale ale only hoppier with hints of oak and cinnamon, and Summerfest, which is citrusy and sunny. Sierra Nevada's Pale Ale is the second best-selling craft beer in the United States, behind the Boston Beer Company's Samuel Adams Boston Lager. #7 New Belgium Brewing Company, Fort Collins CO - New Belgium Brewing Company is a regional brewery located in Fort Collins, Colorado. In 2006, it produced approximately 436,000 barrels of its various labels. Fat Tire, an amber ale, is the company's flagship beer. Before 2006, New Belgium distributed in only 15 states (Washington, Oregon, Idaho, Montana, Nevada, California, Arizona, New Mexico, Wyoming, Nebraska, Kansas, Texas, Arkansas, Missouri, Colorado). In spring 2006, the brewery began to distribute some of their beers in other markets. #8 Spoetzl Brewery, Shiner TX - Spoetzl Brewery is a brewery located in Shiner, Texas, USA. Also known as the "little brewery in Shiner", the brewery produces Shiner Bock, a dark beer that is now distributed in 41 states. The brewery is owned by the Gambrinus Company. 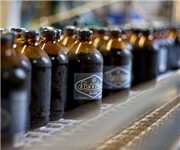 Spoetzl was founded in 1909, and claims to be the oldest independent brewery in Texas. Spoetzel currently produces five beers year around and two seasonal brews. 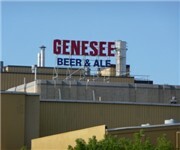 #9 Genesee Brewing Company, Rochester NY - Genesee Brewing Company is an American brewery located along the Genesee River in Rochester, New York. From 2000 to 2009, the company was known as the High Falls Brewing Company. Genesee brews for both the Narragansett Brewing Company and the Boston Beer Company, maker of Samuel Adams beers. #10 Pyramid Breweries, Seattle WA - Pyramid Breweries, headquartered in Seattle, Washington, is a brewer of craft beers, ales, and lagers under the Pyramid label. It has operations in Sacramento, Berkeley, and Walnut Creek, California, in addition to Seattle. Pyramid used to feature one of the single largest selections of beer types among a single brewer. They made beers covering all the major types including, ales, lager, weizens, ciders, porters, and IPAs. Nowadays, the selection has been pruned to six styles, three of them weizens (wheat ales). #11 Deschutes Brewery, Bend OR - Deschutes is a brewery founded in 1988 in Bend, Oregon, USA. Deschutes Brewery produces a range of beers which it distributes in thirteen western states. The company produces a range of beers including Black Butte Porter, Mirror Pond Pale Ale, Obsidian Stout, Bachelor ESB, The Abyss, and Cascade Ale. Obsidian Stout is ranked #89 on BeerAdvocate's Top 100 American Beers list. #12 Iron City Brewing Company, Pittsburgh PA - Iron City Brewing Company's most popular products are: Iron City Beer (a macro-style pilsner), I.C Light, Augustiner and Augustiner Dark. PBC also produces: American, American Light, American Ice, Old German, Brigade and Brigade Light. Other brands include Drummond Bros., Wiedemann and Drewrys, which were acquired from the Evansville Brewing Company (Evansville, Indiana) in the late 1990s and today are largely shipped to midwestern markets such as Louisville, KY, Cincinnati, OH and southern Indiana. #13 Minhas Craft Brewery, Monroe WI - The Joseph Huber Brewing Company (the brewery was renamed Minhas Craft Brewery) was founded in 1845 in Monroe, Wisconsin. It was originally called The Blumer Brewery, but in 1947 adopted its current name. It is the oldest continually operating brewery in the Midwest and second oldest in the United States. #14 Matt Brewing Company, Utica NY - F.X. Matt Brewing Company is an American family-owned brewery at the foothills of the Adirondack Mountains in Utica, New York. It is the fourth oldest family-owned brewery in in the United States. Its most popular product is the Saranac line of beers, although soft drinks are also produced by the company. Per the Brewers Association, Matt Brewing Co. ranked as the 7th largest craft brewing company in the US based upon 2008 beer sales volume. The Matt Brewery has produced thirty different beers in its Saranac line over the past two decades, which include Adirondack Lager (German amber lager), Black & Tan (stout/amber lager blend), Pale Ale (English pale ale), Black Forest (Bavarian Schwarzbier), India Pale Ale, Lager (traditional American lager), and a seasonal Belgian White (white beer). #15 Full Sail Brewing Company, Hood River OR - Full Sail Brewing Company is a craft brewery in Hood River, Oregon, United States. Founded in 1987, Full Sail was the first commercially successful craft brewery to bottle beer in the Pacific Northwest for retail sale, and one of Oregon's early microbreweries. The first beer packaged was Full Sail Golden Ale, followed in 1988 by Full Sail Imperial Porter, Full Sail Amber Ale, and Wassail Winter Ale. The Full Sail brewery has earned many honors for its beers, some of which include: twelve gold medals for Amber Ale at the World Beer Championships, six silver medals for Pale Ale at the World Beer Championships and five gold medals for India Pale Ale at the World Beer Championships. #16 Boulevard Brewing Company, Kansas City MO - Boulevard Brewing Company is an independent regional craft brewery located in Kansas City, Missouri. The Brewers Association currently ranks Boulevard as the 7th largest craft brewery, and the 16th largest active brewery in the United States. The sale of Anheuser-Busch to InBev made Boulevard the largest independent brewery in the state of Missouri. Boulevard's beers are available in thirteen Midwest and Great Plains states. #17 Magic Hat Brewing Company, Burlington VT - Magic Hat Brewing Company is a brewery located in South Burlington, Vermont. It began production in 1994 in Burlington, Vermont, and moved to its current location in 1997. It currently brews 4 year-round beers and 4 seasonals, and frequently produces one-off batches. Magic Hat is known for including short phrases on the underside of their bottle caps. The subject matter of these phrases range from humorous to insightful to nonsensical. #18 Alaskan Brewing Company, Juneau AK - Alaskan Brewing Company, a regional craft brewery located in Juneau, Alaska, was founded in 1986. The company's beers have won numerous awards at regional, national, and international beer competitions. Alaskan Brewing currently produces five year round beers, four limited release seasonal ales and several specialty beers with limited distribution each year. The beers are currently available in ten western states: Alaska, Arizona, California, Colorado, Idaho, Montana, Nevada, Oregon, Washington and Wyoming. Alaskan Brewing Company is the 11th largest craft brewery by sales volume in the United States. The brewery was founded in Juneau, Alaska by Marcy and Geoff Larson, who are still in charge of the company. #19 Harpoon Brewery, Boston MA - Harpoon Brewery is an American microbrewery, with plants in Boston, Massachusetts and Windsor, Vermont. The brewery is best known for its Harpoon India Pale Ale. It brews five other year-round beers: the original Harpoon Ale, the award-winning Munich Dark, UFO Hefeweizen, UFO Raspberry Hefeweizen, and Harpoon Brown, its latest creation. Harpoon has four seasonal beers, such as an Octoberfest lager and Celtic Ale, a beer made in the style of an Irish red for St. Patrick's Day. Locally, Harpoon has become famous for their 3 annual festivals that they hold at the brewery. Their St. Patrick's Day, Summer BBQ and Octoberfest festivals have become a staple in the Boston party scene. These are normally weekend long events filled with music, food and of course tons of beer. #20 Bell's Brewery, Galesburg MI - Bell's Brewery, Inc. is a brewery located in Kalamazoo, Michigan and currently brewed in Comstock, Michigan. Bell's Brewery produces the Bell's brand of beers. While the Pale Ale, Porter, Kalamazoo Stout, Third Coast Beer, Amber Ale and Two Hearted Ale are available year round, the majority of Bell's beers are seasonal. For example, Oberon Ale is available from late March through October and Best Brown Ale from October through March. The Stouts are available on a schedule similar to that for the Best Brown. Others like the Consecrator Doppelbock and the Sparkling Ale are single batches released once a year. Bell's also releases one time only 'millennial' brews to commemorate each of its successive 1000 batches. The upcoming availability of these beers can be relatively predicted by the batch number of the Bell's products currently available, printed on every bottle of Bell's beer.